Islamabad, September 05; Members of Youth Parliament Pakistan unanimously passed a Bill on anti-forced conversions. The Bill stated whereas it is the duty of the Government of Pakistan to provide protection to all individuals including non-Muslims under the Constitution of Pakistan and the international conventions. The Bill was presented by Ms. Batool Abid Memon, YP2-42-SINDH03 and Mr. Haroon Ur Rashid, YP2-55-FATA01. In an early morning session, Ms. Helle Nielsen, Charge d’Affaires, Embassy of Denmark addressed the Youth Parliament Pakistan Members and congratulated them on becoming part of the Parliament. 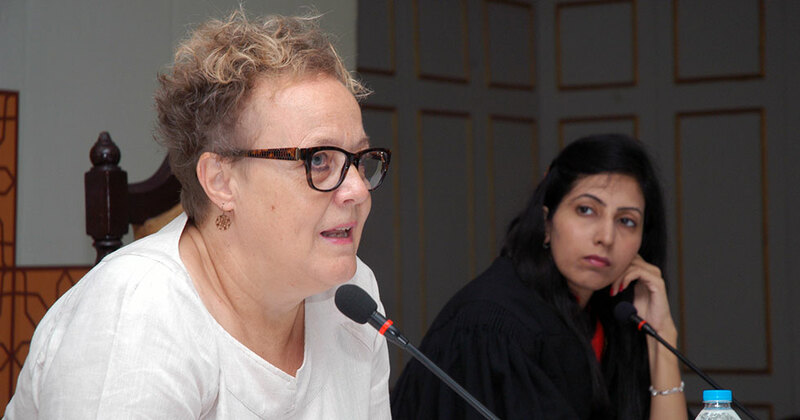 Ms. Nielsen briefed the Members about the overall objective of cooperation between Denmark and Pakistan and said that it was aimed to alleviate poverty with the help of peace building. Denmark also believes in strengthening democratisation, human rights and gender equality in Pakistan. Later, an interactive session was held between the Members and Ms. Nielsen. Mr. Arshad Abbasi, Advisor Water & Renewable Energy, SDPI and Dr. Gulfaraz Ahmed, Former Federal Secretary Petroleum spoke in an interactive session with the young Parliamentarians on “Energy Crisis in Pakistan.” The Speakers said that real energy crisis in Pakistan is due to very low energy consumption per capita at the fifth of the world average, therefore it is important for us to target doubling it in ten years. Instead of importing optimal mix of oil, natural gas and coal we import only oil and use 40% of it in power generation that renders the power very expensive and cost results in a whopping hole in cost recovery resulting in recurring circular debt. Power theft, non-payment of utility bills and aging infrastructure compound the energy crisis in Pakistan. The Speakers further said that to reduce the average cost of generated electricity, we need to shift away from oil based power generation from 36% to 15 % that could reduce the average sale tariff from Rs. 20/KWh to Rs. 12/KWh. Reduce theft and non-payment by 50 %, which will reduce the average sale price tariff to Rs. 10/KWh. A progressive shift should be done from lopsided consumer tariff to cost-of-service tariff that will reduce high industrial tariff and stimulate industrial and economic growth. In addition to this, a positive change has been witnessed of a decreasing oil price that provided a temporary relief in the cost of generation and the consequential circular debt. The module on Foreign Policy of Pakistan with emphasis on neighbouring countries was delivered by eminent experts including Ambassador (Retd.) 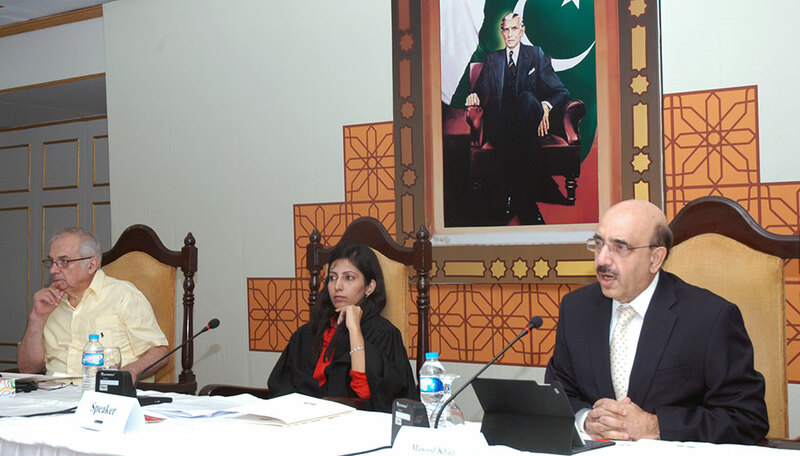 Masood Khan and Ambassador (Retd.) Ashraf Jehangir Qazi. Highlighting the issue of Kashmir, the Speakers said that India is not willing to resolve the crisis and Pakistan will not move from its stance. However, Pakistan has been successful in formulation of good relations with China. The Speakers encouraged the Members to join politics in future, as they believed that Parliament is the only institution through which policies can be influenced. 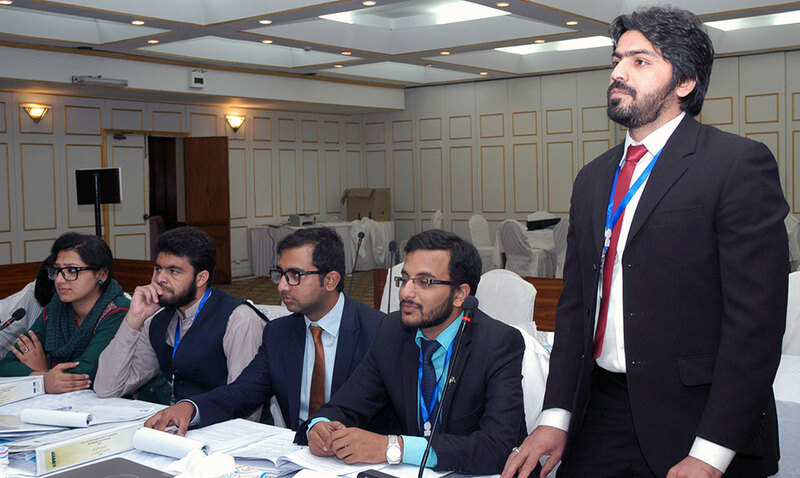 Later in the afternoon, Mr. Ahmed Bilal Mehboob delivered a comprehensive presentation on the Reforms in the Electoral System of Pakistan. Mr. Mehboob recommended that returning officers and the Polling staff should be trained effectively. Number of Polling stations across Pakistan should be increased and made permanent. A legal cover should be provided on the strict compliance of electoral code of conduct. The ECP should strengthen system of constituency monitors. Mr. Mehboob further reiterated that the Parliamentary Committee on Electoral Reforms should expeditiously complete its work. The 2013 General Election Inquiry Commission Report be examined in-depth to introduce safeguards & Reforms. Moreover, Election Tribunals’ Decisions identified many flaws that need to be addressed.